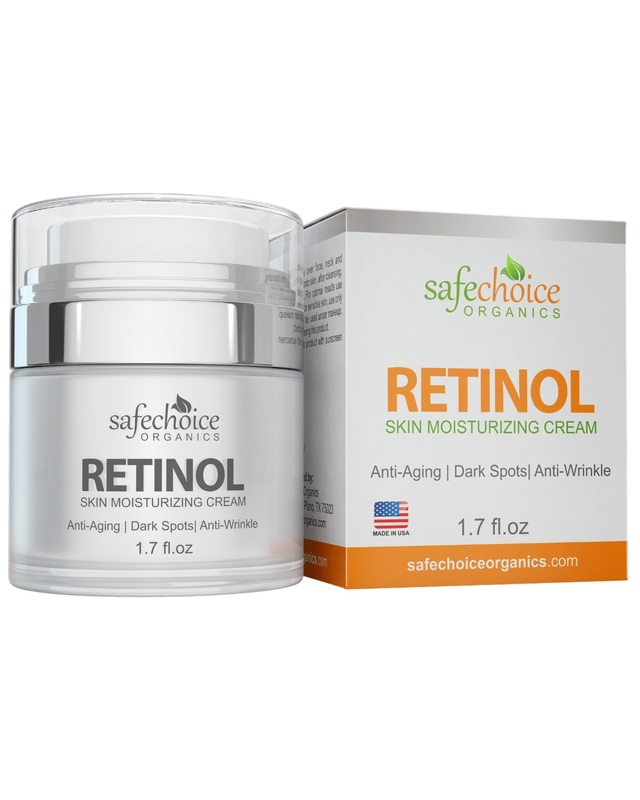 Best Retinol Moisturizer Cream in Kenya for Face and Eye Area – Made in USA – with Hyaluronic Acid, Vitamin E – Best Day and Night Anti Aging Formula to Reduce Wrinkles, Fine Lines & Even Skin Tone. Now there is no need to spend a small fortune on cosmetic surgery. No need to visit pricey spa and massage centers. All you need to do is invest in a luxurious Retinol moisturizer and let it do the rest. Cherish the most astounding anti-aging benefits of Retinol, (Vitamin A) in the comfort of your bedroom. Thanks to its fortified blend of Active Retinol, Hyaluronic Acid, Vitamin E and B5, Jojoba Oils , and Green Tea extracts, this facial moisturizer will surely astonish you. Apply on your skin on a daily basis ! Watch and feel the difference on your skin. Make everyone wonder! Minimize the appearance of wrinkles. Maximize satisfaction. Enhance uneven skin tone, shrink enlarged pores, nurture and rehydrate tired looking skin and reignite a feeling of firmness all over your face. Nothing can beat that, right? This is such an awesome product! I did a little research before finally choosing this particular retinol cream and I’m so glad I did! This is just right for my skin. I’ve been using it for almost 2 weeks and I have already started to see the benefits. My skin is starting to peel a little [which is a normal part of a retinol regimen] and I can feel the product working as well. I’ve had amazing results so far with this product. When I was younger I had a lot of acne. As an adult, my face has cleared up but my pores remained enlarged. I used this as a last ditch attempt before trying a chemical peel and I’m glad I made this decision. It’s slow and steady progress, but I’m okay with that. I’ve seen great results within three weeks of use. I started using this Retinol cream this past week, and it feels really good on my skin. I have sensitive skin and have to be careful with the products I use. This cream, along with the eye gel, has been working out very well in my skin care routine. Wah Wah… I wish I had discovered this cream 10 years ago. I started noticing radiant skin results in a week. My skin looks so much younger now. One this to add on, use it at night (not during the day) and use sunscreen during the daytime. Good stuff. Am very pleased with this product. Would order again. Only concern may be if able to get all of the Retinol products with the pump system. Very nice product. Used for a couple weeks and I think it has improved my skin. This moisturizer cream is amazing. I had been using the eye cream on my entire face but now I have both products and they work together so well. I had crepey skin on the cheek that I sleep on and I am starting to see a difference. I use at night and in the morning before my makeup.